A rental car is a convenient and affordable mobility solution in some situations. Here you can book a car in Barcelona or other places. You have a large selection of vehicle classes in Barcelona. We work exclusively with the car rental company Avis. Avis has repeatedly proven in independent tests its reliability, the service and the good and safe condition of the cars. In Barcelona there are several Avis car rental stations: at the airport and the central station of Sants, but also several stations within the city centre are available for pickup and return. Usually, picking up the rental car from Sants Estacio Station is cheaper than at the airport. Also a return at a place other than the rental station is possible, e.g. Rental at Girona airport and delivery at Sants station in Barcelona. In general, however, we recommend that you travel within Barcelona by public transport. The public transport is well developed with a dense metro, tram and bus network and you can reach most attractions very quickly and easily. If necessary, taxis are always available in the city, which are very cheap for central European standards. The largest selection of rental cars is available at El Prat de Llobregat Airport and Sants Central Station, where Avis and other providers are represented. Also at the airports Girona you will find car hire stations of the major providers. 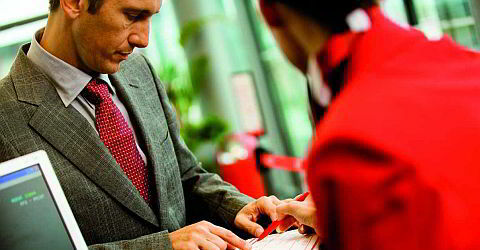 The rental companies' desks are located directly in the arrivals hall, Avis is about 400 meters from the arrival hall. Before booking, check the rental conditions, e.g. most hire companies have surcharges on drivers under the age of 21 or if more than one person is allowed to drive. If it is enough to have only one driver, then this is the cheapest solution for renting a car. Likewise, you should always take out a comprehensive insurance, which saves so many hassles and high costs. In the event of an accident, always inform the police, have the log handed over and report the damage immediately to the car hire company. If you want to go to the mountains in winter, e.g. in the Pyrenees, note that it is snowing there too. In such a case, ask for winter tires that the rental companies do not always put on the vehicles in winter. But you do not need it in the surrounding area of ââBarcelona. A rental in advance and from home is usually much cheaper and the car is guaranteed to be available.